The July madness that is the NBA free agency is almost here, as NBA junkies like ourselves (I am assuming you are if you follow our site) are gearing up to check Hoopshype and other other free agency rumors around the clock for a few weeks. The absolute best player that seems to be somewhat available in free agency this year is 32-year-old Chris Paul. Paul has been the most consistent and best floor general in the NBA for about a decade now but has never been able to get out of the second round in his 12 year NBA career with the Hornets and the Clippers. 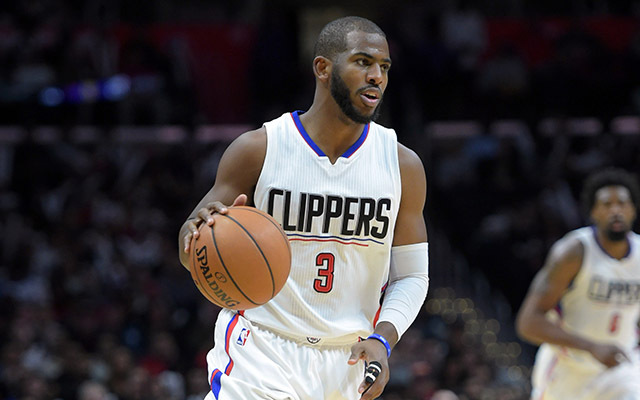 He is set for presumably his final huge contract this summer and with the Clippers struggles and the fact that all of their key players, outside of DeAndre Jordan, are on the market, it seems as though Chris Paul is entertaining the idea of a new NBA home next season. According to Broderick Turner of the LA Times, the Clippers have learned that Paul plans to speak with the Nuggets, Rockets and Spurs this summer. “The Clippers have recently become “nervous” about the reports that San Antonio will make a big push to get Paul and that the point guard has interest in talking to and possibly joining the Spurs, said one executive who was not authorized to speak publicly on the matter. For the Rockets to offer a max contract they would have to deal either Ryan Anderson or Eric Gordon and a player like Trevor Ariza or Lou Williams. For the Nuggets to have max cap space it would take letting Danilo Gallinari go, for the Spurs it would take… a lot. The Nuggets would be interesting but even though they have a young star in Nikola Jokic, they are presumably a few years and other pieces away from contention and wouldn’t make sense for a 32-year-old Paul wanting to contend now. The Rockets are a psuedo contender, but Harden as a ball-dominant point guard in D’Antoni’s system worked wonders and pairing him with Paul would be an odd fit as they both need the ball in their hands. The one perfect marriage that works for the player, the roster and their status as a contender is of course, you guessed it, the San Antonio Spurs. If the Spurs can shed a little salary (maybe even LaMarcus Aldridge) and pair their winning culture, great role players, development system, elite coaching and Kawhi Leonard with Chris Paul, that could be a team that can actually compete somewhat with the Golden State Warriors. The panic meter shouldn’t be at code red for the Clippers yet, but it may be turning orange.